New York, One of the greatest cities in the world, always a whirlwind of activities. The vacation possibilities in New York City are endless. people come to enjoy Broadway Shows, Shopping, Sight Seeing etc. 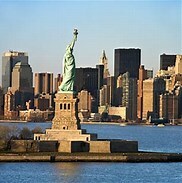 Here’s the topmost tourist attractions in New York. Promptcharters.com is a charter bus company in New York City. We offer most modern charter buses in an affordable rate. Our dedicated charter bus team will help you plan your charter bus trip. so you can make sure that your charter bus trip will be safe, comfortable and hassle free. Call us today in 1-877-277-6678 and ask for a free charter bus quote.